Rosemount in Aberdeen - We have it all! 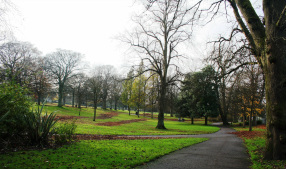 Spend an afternoon in Rosemount, explore the local shops and take a stroll down to Westburn Park. Rosemount has it all. With free parking on Rosemount Place you will be able to browse the local stores or pop in for a bite to eat or drink in it's cafes bars and restaurants. Phyl Bruce at Four Seasons Florist in Aberdeen has been one of Rosemount's longest standing business owner. Her shop was opened in 1972 and it continues to bloom today. She has seen the area go through a lot of changes, but all for the best. Rosemount has become a fantastic area to own a business and as a result we all feel the benefit from a bustling area with great shops, pubs, cafes, galleries and much more! 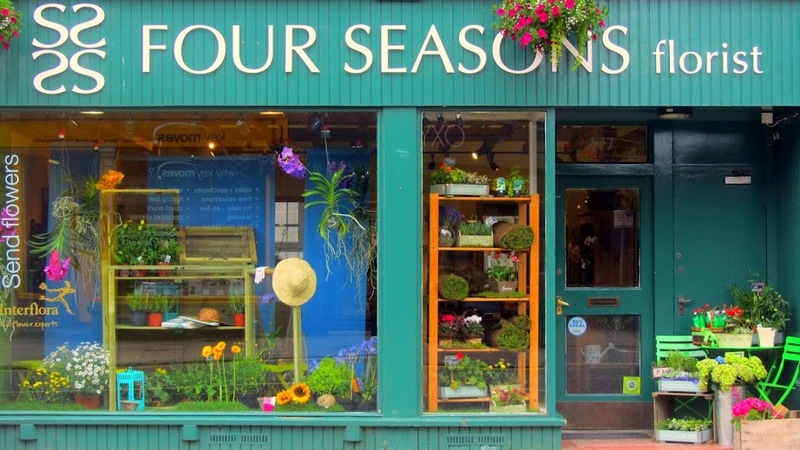 For flower delivery in Aberdeen don't forget Four Seasons Florist, they are an expanding business - now in Edinburgh, who give beautiful flowers for any occasion. Shopping in Aberdeen just has to be done in Rosemount. There is so much to choose from, it truly is the heart of Aberdeen for traditional shopping. Aberdeen Flowers is a fantastic local business in Rosemount Aberdeen. Providing gorgeous bespoke flowers throughout Aberdeen and the North East of Scotland. They have a new website, we think it's great pop over and take a look. The expert Aberdeen florists take pride in making only the best bouquets for you using the freshest flowers possible. Established for over 40 years you can certainly self assured by Aberdeen Flowers.